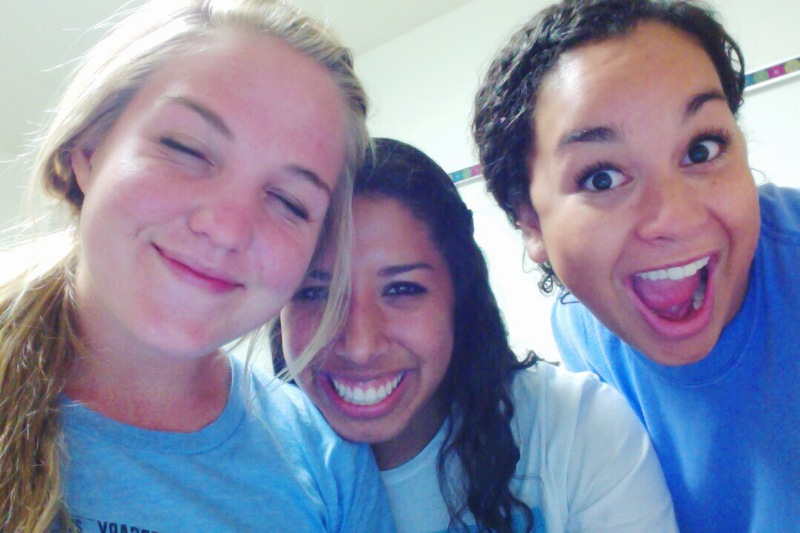 The roomies – Somer (L), Morgan (R), and I – freshman year in the dorm…this photo still accurately represents us. My last day of class ever is TOMORROW. At the moment, there is so much excitement and I can’t wait. Project on top project definitely wears you down. Like, is it Thursday night yet?! Deep down though, I know part of me is sad…I’ll admit it, I love school. I love learning new things, especially in areas that aren’t where my career is focused. Since I’ll definitely miss it, I know I’ll find ways to keep teaching myself new things. In honor of Thursday’s last day of class though, I thought I’d jot down a letter I would love to hand freshman me. Although, even if it was a possibility, I don’t think I ever could – too many good things that shouldn’t be spoiled! Congrats on high school graduation! All the little things high schoolers worry about, like trying to stay at the top of the social ladder or who had the best prom group, are about to disappear. That’s one of the most magical things about college. Everyone starts back at square one, excited and eager to meet people. You get to start fresh and can be anyone you want, it’s pretty dang awesome. You aren’t exactly sure what to expect with dorm life, but rest assured living on campus is probably one of the top three decisions you will make in college. You’re going to meet your best friends, the love of your life, and future roommates. You’ll stay up ’til the wee hours of the morning having study lounge dance parties, stealing furniture off other floors, and a Thanksgiving dinner as a college family. You’ve really lucked out with this 4th floor spot. Right now, you’re a little stressed about your major, because you feel like it’s not really where you belong. Newsflash: 1) You’re not the only one. 2) You’re going to take an advertising class on a whim because you have a hunch, and it’s going to allllll fall into place. You’ll have classes with people that inspire you and help you survive crunch time, and find professors that become mentors and friends. You’re going to get involved in a lot of great organizations, especially an important group of AH-MAZING girls on campus that you’ll share a huge chunk of your college memories with. They will be there when you laugh, cry, when you want a margarita, when you’re cheering on Longhorn football, and oh so much more. Lonestar Lovin’ for life. Being apart from family is hard, especially when life back home and life at school seem hectic. Just remember to stay faithful and humble and kind. Hard work pays off, I promise. ATX is the COOLEST. You’re going to see and learn so much! And at the end of it all, you’ll be headed off to a big city like you’ve always imagined and planning a trip to places you’ve always wanted to go. Amazing writing Dayna. You have a gift here. Continue to grow it as you continue to grow. I am a very proud father. Your father! That means so much. Thank you, dad! Love you! Oh my goodness mom you at so cute. Love you so much!